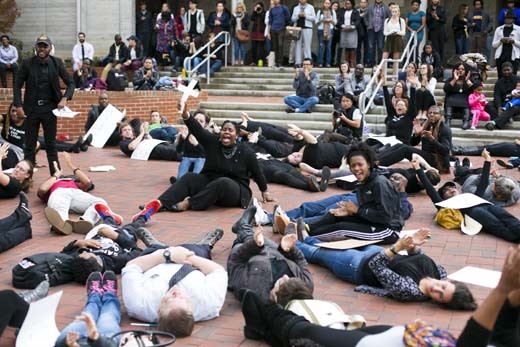 Led by students at Candler School of Theology, members of the Emory community held a "die-in" protest on Dec. 4. 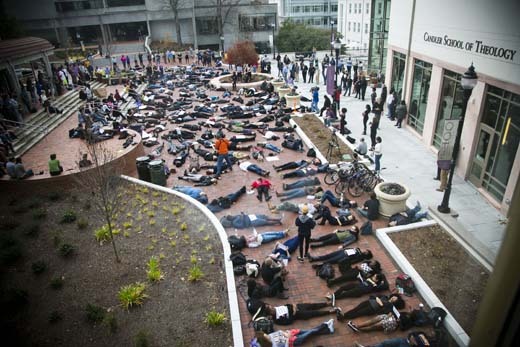 Emory Photo/Video. 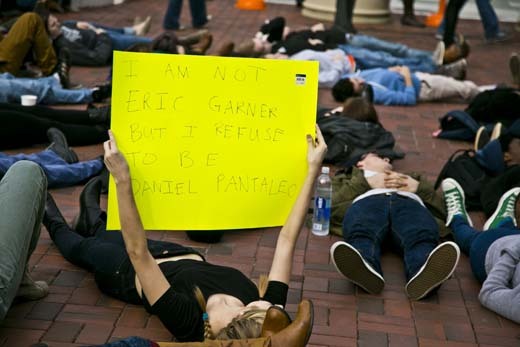 More than 200 members of the Emory University community held a "die-in" Thursday at noon outside of the Candler School of Theology, joining protests around the nation in the wake of a grand jury’s refusal to indict New York City police officer Daniel Pantaleo, whose chokehold killed an unarmed man, Eric Garner. 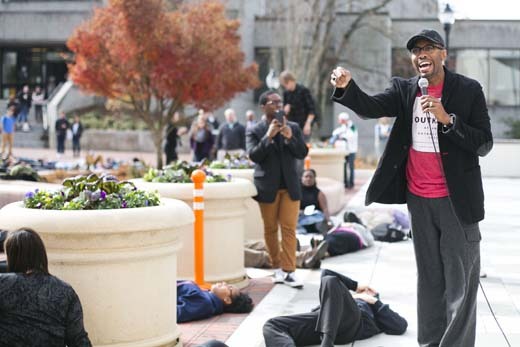 Led by Candler students, the protesters’ chants included, "We must protect each other, we must love each other, we have nothing to lose but our chains. 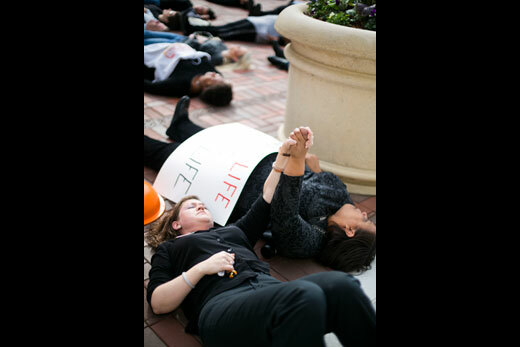 We are united in this fight." 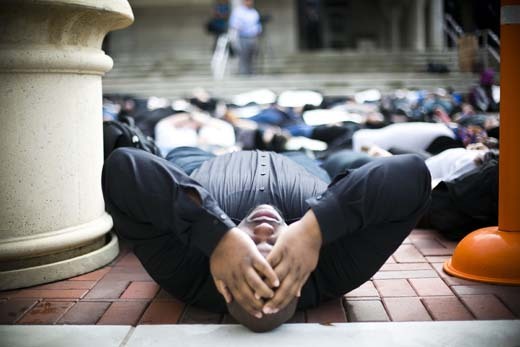 The New York decision came close on the heels of another grand jury’s refusal to indict Ferguson, Missouri, police officer Darren Wilson in the shooting death of Michael Brown. 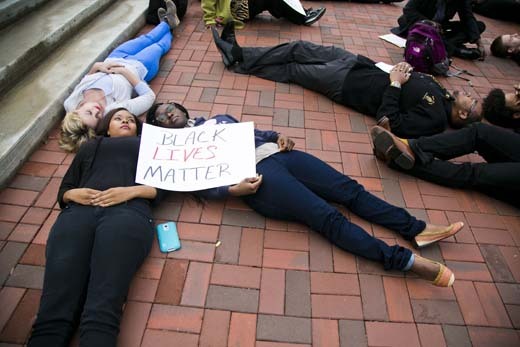 The deaths of two black men by white police officers sparked protests in cities across the country, as well as outcry on social media with hashtags such as #blacklivesmatter.